Can you make this for 1.12.2? what this mod used for item type? Can you make a 1.7.10 backport? This mod is really cool, and I'd like to use it in my pack. ItemPhysics doesn't work right too, which is why I'd like a backport of this if possible. so I found a bug with either your mod or ArchitectureCraft where I had a block from that mod and tried to pick up a block and it crashed the game. Agreed. i can't stand the new MC versions, 90% of my fav mods aren't updated. And I see you have a few request to backport it to 1.7.10, is it going to happen? 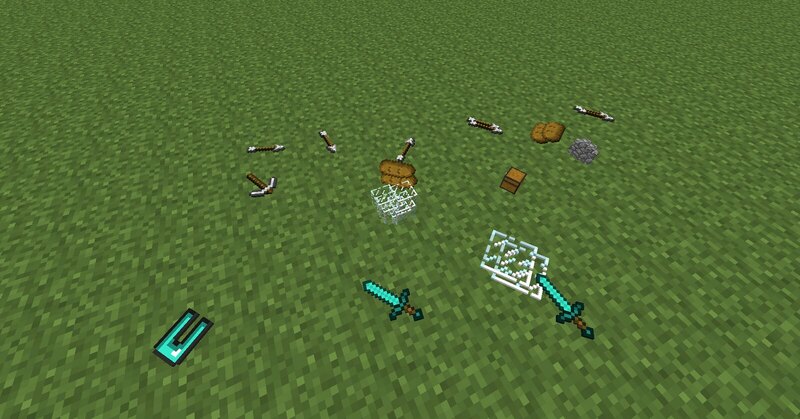 I use a server forge (forge-1.11.2-13.20.0.2224-universal) with spongeforge-1.11.2-2201-6.0.0-BETA-2061. In single player modification works properly, but on the server drop from mobs and plants look standard. When I'm throwing things, everything looks as it should (on server). I don't do support for Sponge, sorry. Unless you can recreate this issue with standard Forge I'm not going to look any further into this. Please, If you can, Please make a 1.8.9 version of this mod.. I like the idea of this mod but one more configuration option would really be helpful. It would be nice if only items put down by a player are affected. Then you can lay things around everywhere around your house (like real life) or temporarily lay tools around while working. But other items drops magnetically work as normal. As is, I would never mine for instance with this add on.